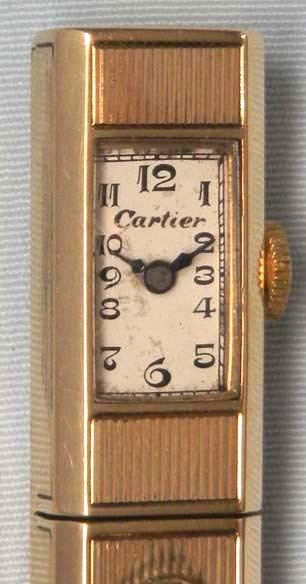 Cartier art deco 14K gold pencil with watch circa 1930. Striped body with pocket clip. Original silver dial with blued steel hands. Perry Watch Co. 17 jewel movement.